Starbucks Coffee Colombia Nariño coffee beans are grown at altitudes as high as 2300 meters, where warm tropical days and cool nights allow the beans to develop slowly. 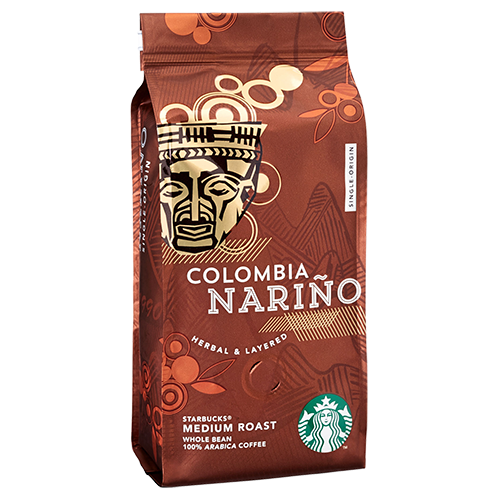 Starbucks Coffee Colombia Nariño is a medium roast with a nice acid and one can sense elements of herbs and a walnut-like final. This single origin coffee has a unique composition of flavors.